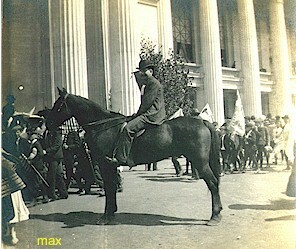 Max Storm of the St. Louis Worlds Fair Society has shared some horse photos. None of them are identified. 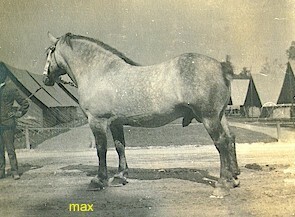 So if you see a horse or a scene that you recognize, please let us know and we'll add that information to this page. 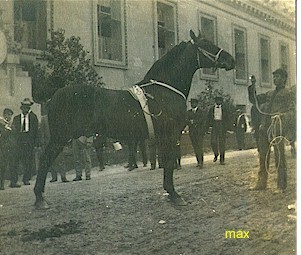 Which building is this horse in front of? 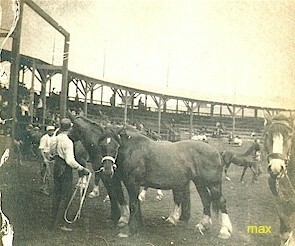 Draft horses showing in the Livestock Forum. What building is it beside? 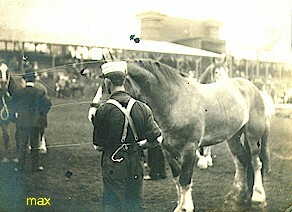 Can anyone identify the tent area behind him? This page is maintained by Lyndon Irwin.